I’m back with another cozy mystery for you all! As I gear up for writing Daydreamer 5, I’m excited to connect with my cozy mystery roots and try something new to read. 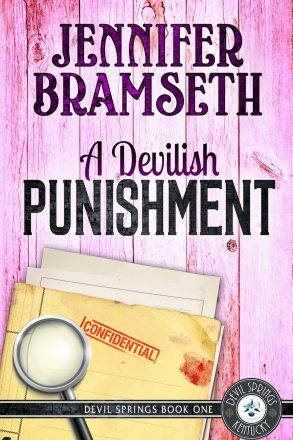 So I asked Jennifer Bramseth to be here today to tell us about A DEVILISH PUNISHMENT. PS, check the links at the bottom of this post. You can get a free romance story through the Facebook group, and she also gives away a short story collection to her newsletter subscribers. Since this is a cozy mystery series, I, of course, love the small-town atmosphere. I got to add bits about small-town life and the area where I live (Kentucky). But two things truly set the series apart. First, the sleuths are attorneys and their legal background and knowledge is crucial to the stories and unraveling of mysteries throughout the five-book series. Second, the series is set in the same world as my contemporary romances and characters from those series pop in from time to time. I love this idea of linking together her two worlds, even though they’re in two different genres. It’s so creative! Lillian Booth is pushed to her limits when she’s assigned the worst yet most important case of her career. Trying to disbar a lawyer who abused his clients for years behind closed doors. But after a series of sinister events, she’s forced to co-counsel with Henry Alton, a man who detested her beloved and now-deceased mentor. 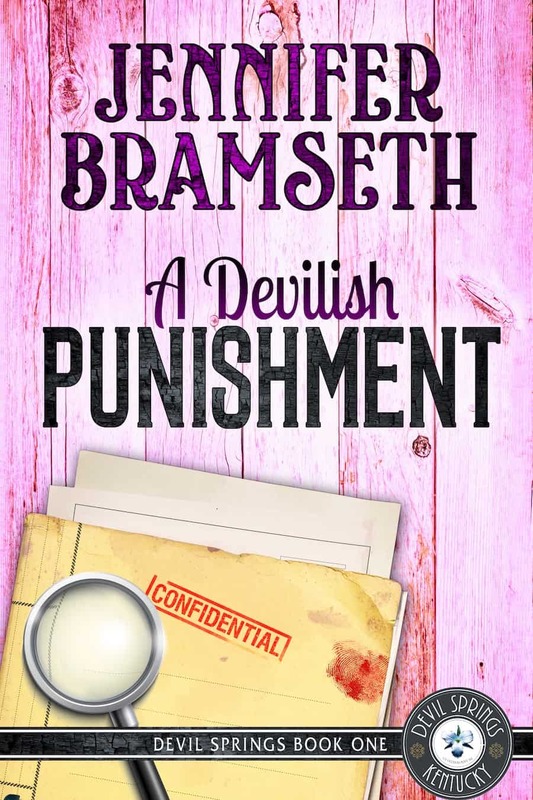 A Devilish Punishment is the first book in the Devil Springs Cozy Mysteries Series.